According to a report over on CITEworld, Evernote is currently witnessing a higher average revenue per user on Windows Phone, when compared against Android. While Google's platform has a rather large install base, leading to an overall increase in revenue, it's interesting to note that Windows Phone owners spend more money than Android consumers. it's a familiar situation and why developers tend to favour the likes of Apple and iOS. This type of statistic is exactly what Microsoft needs to have its mobile platform stand out against the competition. Just because the install base is lower than that sported by both Android and iOS doesn't necessarily mean developers cannot walk away with a decent enough ROI. The fewer users installing and actively firing up an app could ensure the developer breaks even should users spend more money per Windows Phone. This would help build confidence in the platform for developers who have yet to jump aboard, viewing Windows Phone as a potential risk. Instead of developers focusing on the number of downloads apps accumulate, they could look at just how much money each user is parting with. According to CITEworld's report, Evernote is also seeing increase usage of its Windows Phone app. It's noted that Blackberry sits behind not only iOS and Android, but also Windows Phone in terms of revenue per user. 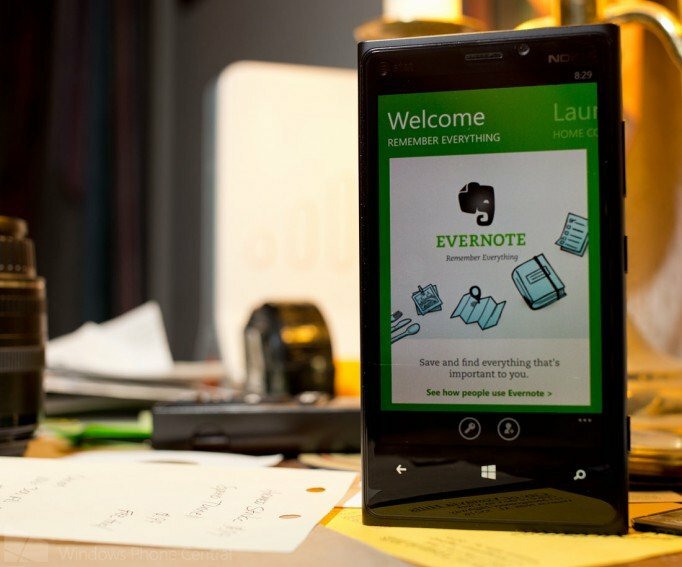 Evernote CTO Dave Engberg has stated that while revenue generated on the Windows Phone platform is modest, it's well worth the effort. Microsoft is still well behind the likes of both iOS and Android, but should the company receive such love stories from other developers, it should spark interest from others for big name apps to make their way onto the Windows Phone store. Source: CITEworld, via: The Next Web; thanks, Peter, for the tip!